We were exploring in the Taprohm Temple in a hot rainy day in Cambodia, the light was dim, ancient Giant Tapok twisted the old stone building, creating a mysterious atmosphere, although we were entering the inner of pitch-black temple in a small group with 9 people, the shadow of the impudently knotty roots stretch out from the stone still scares us. 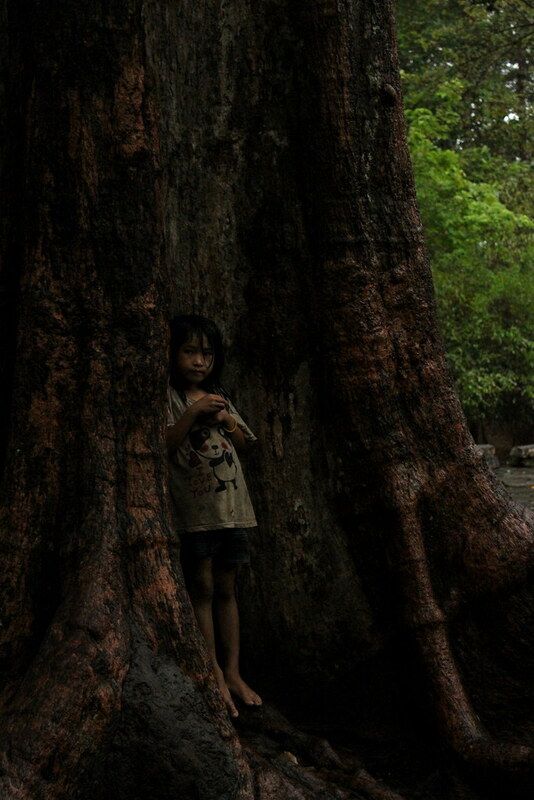 We walk along the stone made corridor, bound by the roots of giant Tapok tree in Taprohm Temple. Feeling some sight staring at me, I turned my head right, the look of the drenched girl hiding between the trunk really freaked me out. 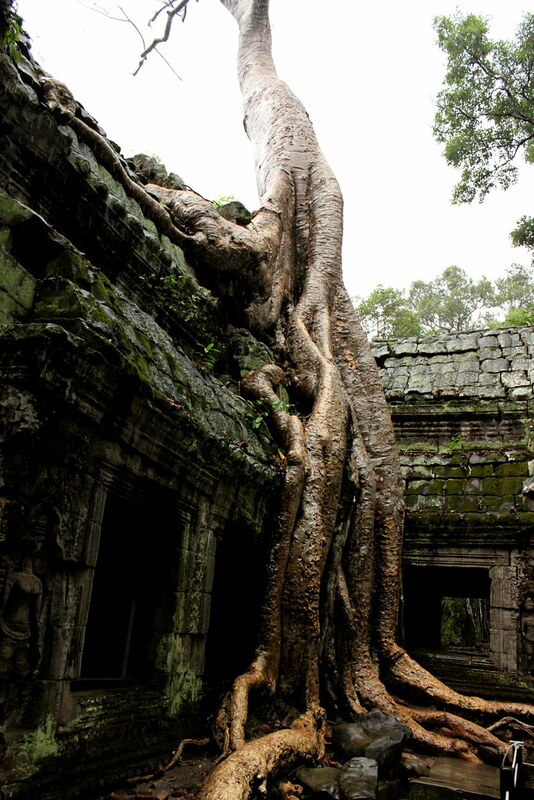 Adventure, Cambodia Story, People, Photo Series people photography, Taprohm Temple. permalink.